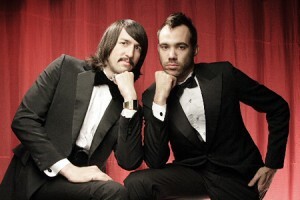 Looks like after 5 years, finally Death From Above 1979, made up of the duo Jesse F. Keeler (bass, synths, backing vocals) and Sebastien Grainger (vocals, drums) got back together. For whatever reason I don’t care. All I know is see them live as their dance/punk album You’re a Woman, I’m a Machine was one of the best albums around in 2006 and still blows many away today. Just as much fun as any show and just as big a venue, SEA is one BIG Thai restaurant. Big enough to have a pool surrounded by tables as a giant Buddha stands above it. Luckily, the food is really great. Offering traditional Pad Thai ($7) to more involved dishes like the Mummy Fish ($14). On N6th, a street full of bars and restaurants, Zablozki’s is the local bar of the bunch, with a pool table and a friendly atmosphere and 12 beers on tap. Cafe, bar, restaurant and music venue (Cameo) in the back, Lovin Cup Cafe is an all-in-one that offers up some incredible stoner food like nutella and banana on grilled sourdough ($9), making this a fave joint if you’re in the mood for comfort food with a twist. For all of you hip hop fans that like a little experimentation and dancing, then this line-up is for you! See some cutting-edge DJs like RJD2, The Glitch Mob, Phantogram, and Com Truise (DJ set). Though small, Empanada Mama packs a hefty punch with more than 40 kinds of empanadas. Choose from a wheat or corn flour shell to start as ingredients include basic rice and beans to what they have dubbed “Viagra,” a wheat flour empanada stuffed with shrimp, scallop, and crab ($3). For drinks, I’d recommend the wine bar Xai Xai. With a South African theme, this darkly designed spot is great for a date as well as for before or after event drinks. The wines are incredible and they even have fondue! An alternative wine bar, Vintage has a wine list with over 200 wines by the glass or bottle from most of the boutique wineries in Long Island and Upstate New York. The exhibition Laurel Nakadate: Only the Lonely features Nakadate’s works in video, photography, and feature-length film made over the last ten years including her early video works, in which she was invited into the homes of anonymous men to dance, pose, or even play dead in their kitchens, bedrooms, and living rooms. Being that you’re in Queens anyways, you HAVE to take the 7 train to Sripraphai, one of New York’s top Thai restaurants. What makes it better than most is the fact that the ingredients are fresh, and instead of choosing your entree with a choice of meat, they offer a novel sized menu with pics of every dish, most under $10. Once a heavily Irish neighborhood, Saints and Sinners is one of the best looking Irish bars left. Grab a Guinness at the bar or traditional Irish food. If you can, head over to Baruirs in Sunnyside for one of the best cups of coffee in Queens. 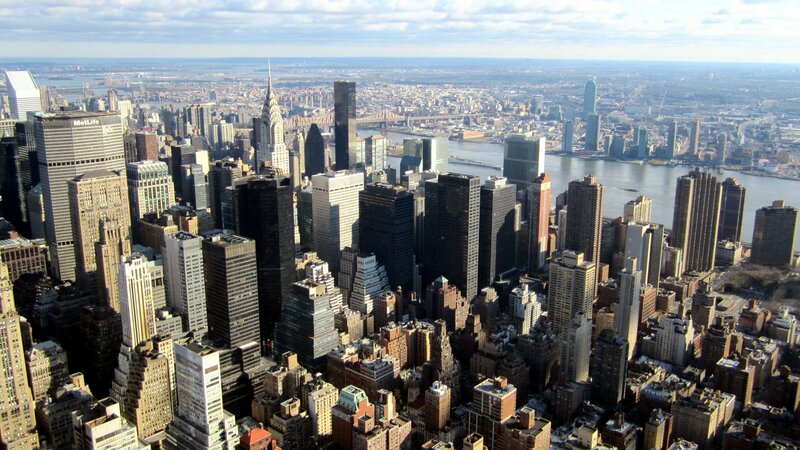 We’re loving the recommendations for Midtown West tonight. Xai Xai sounds like a good bet-their wine menu looks pretty enticing!